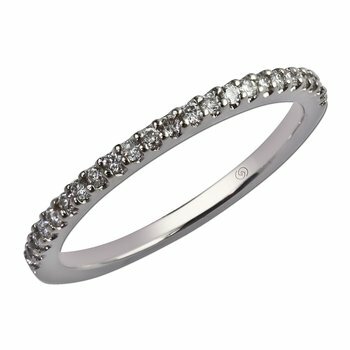 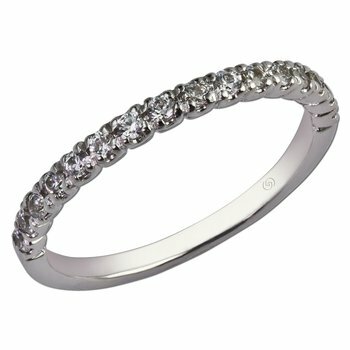 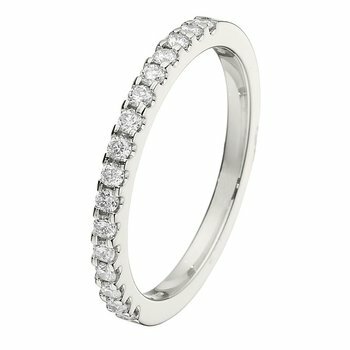 A sleek diamond wedding band that curves to fit engagement ring. 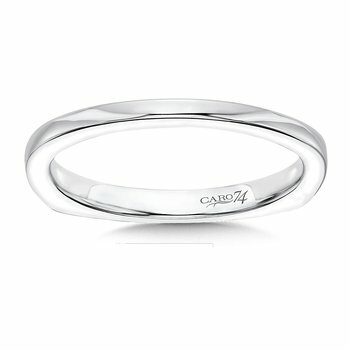 Only one diamond can sparkle with the dazzling brilliance of your timeless love and devotion - The Caro74 Diamond named for the Italian word "beloved." 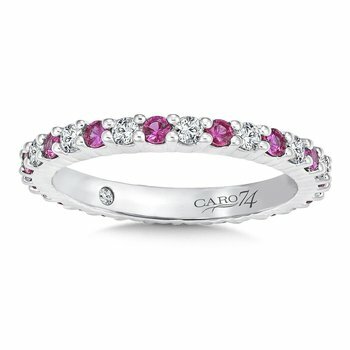 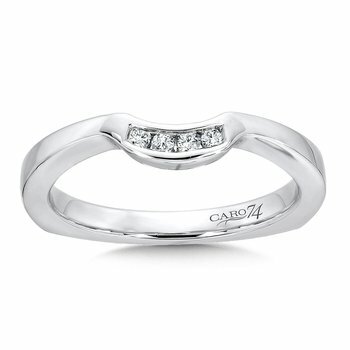 The Caro74 diamond is revered for its exceptional sparkle and beauty. 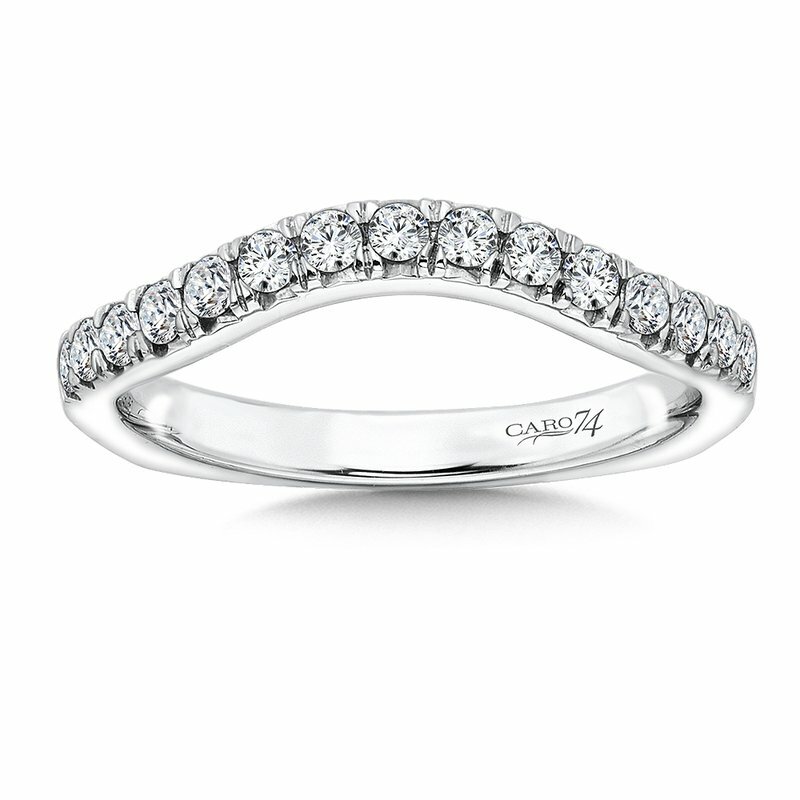 The Caro74 diamond has 16 additional facets strategically located on the pavilion of the diamond in order to provide maximum brilliance when compared to a traditional 58 faceted cut. 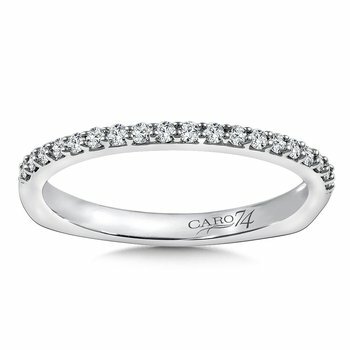 Caro74 logo and individual serial number is laser inscribed on the girdle of the center diamond for authentcicty.